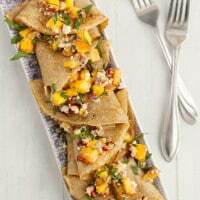 Savory Rye Crepes with Peaches and Blue Cheese | Naturally. And if you happen to have leftover rye crepes, I smothering them in bourbon berries and ice cream. Whisk together flour, salt, eggs, maple syrup, milk, and melted butter until smooth. Heat 8″ skillet over medium-low heat and lightly grease with oil. Place a scant ¼ cup of batter in pan. Tilt the pan so that the batter covers the entire pan and cook for about 30-45 seconds. Flip and cook for another 15 seconds. Layer done crepes, slightly overlapping, on a plate. If batter thickens, add a bit of extra milk to thin it back to pourable consistency. 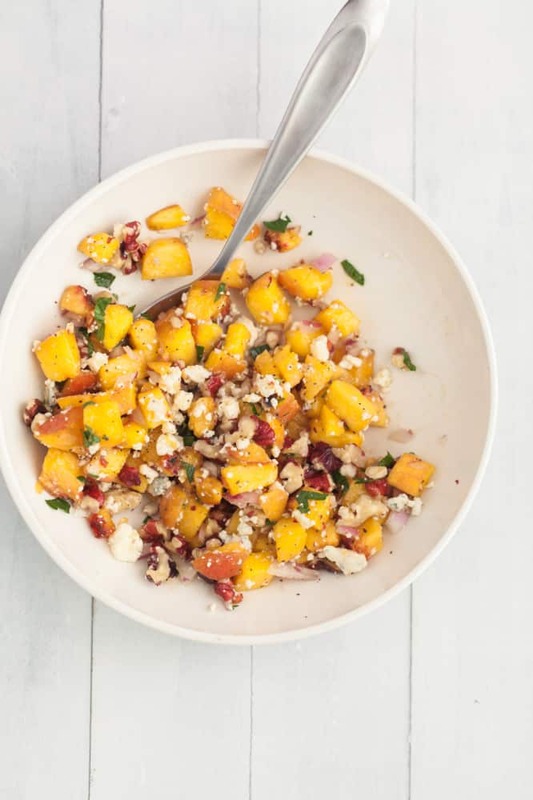 Combine diced peaches, red onion, walnuts, parsley, and olive oil in a bowl. Crumble blue cheese into the bowl and stir until ingredients are well combine. Wow, the recipe does indeed speak for itself. This looks delicious. Roll on peach season.. 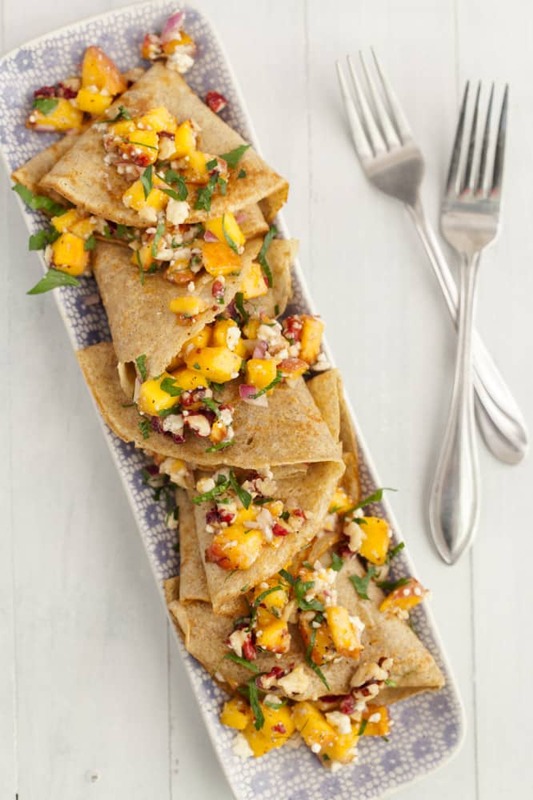 I can´t wait to try these – peaches and blue cheese yum! IM NOT A BLUE CHEESE PERSON, I WONDER WHAT OTHER CHEESE I WOULD USE HERE..
Me either! I’m going with Goat Cheese. I love peaches with blue cheese. Yum! This looks so good. Oh wow! These looks amazing!! Peach and blue cheese is not a combination I would have though of, but I cannot wait to try it! They look delicious! Oh my, these sounds divine, and I’m loving the photos. Yum! These sound so unbelievably delicious… and now I’m SUPER glad that I picked up some rye flour the other day. 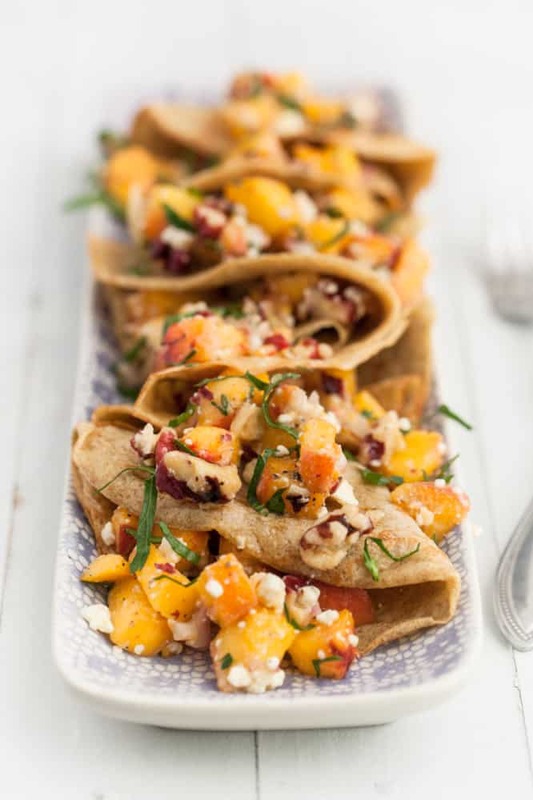 You’re speaking my language with these crepes, girl! Yum! 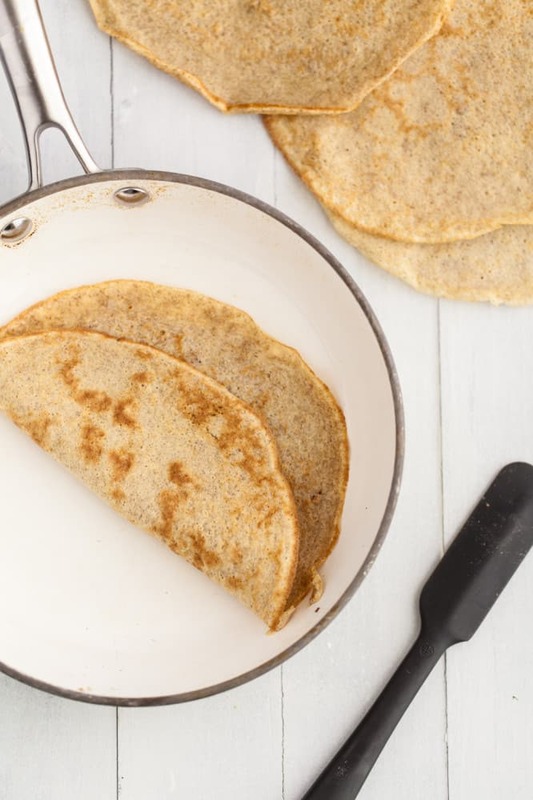 Rye crepes are my jam! This combo looks incredible. Thanks, as always, for the inspiration!